Blasted Heath, as I'm sure you know, are the purveyors of extremely fine fiction. Among the Heathen family is one Damien Seaman, an author who is producing work that is engaging, thought provoking and original. 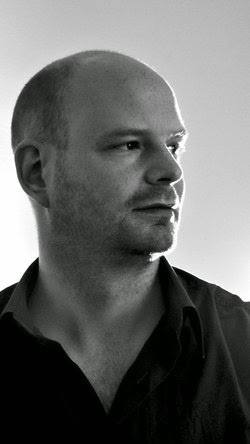 I reviewed his novel The Killing Of Emma Gross here and the new novella, Berlin Burning here. There is some common ground between the two and there are also marked differences. I asked Damien a few questions in the hope that I could explore his thoughts on each and dig a little into his motivations. Among the similarities between the two works is the fact that I'd have no hesitation recommending either of them to anyone who enjoys an engaging and powerful read. 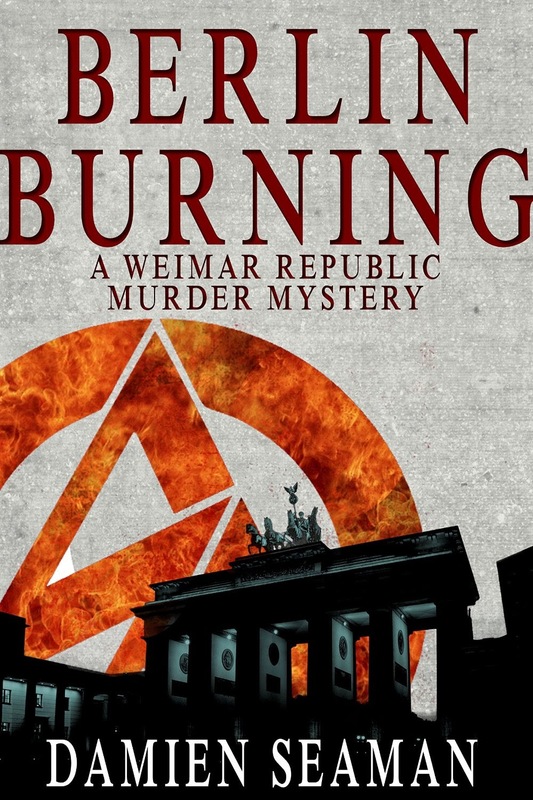 Q: Your novel The Killing Emma Gross is based upon a true crime in the Weimar Republic whereas the novella Berlin Burning is a work that is entirely fictitious. Did you find working without the constraints of a factual tale to be liberating or did it add unforeseen problems to your writing? A: God yes – BerlinBurning was much more liberating. Trying to mix fact and fiction the way I did with Emma Gross is like putting two ferrets in a sack. It gets messy. That wasn’t a problem with the new book. If there was an unforeseen problem, it was that the first draft made a godawful mess of having two lead characters instead of just one, as I had in Emma Gross. So I had to mature as a writer between the first and second drafts if I was going to make it work. That’s why it then took me a whole year to write the second draft – much longer than I’d hoped. That was me bashing my brains out against my technical limitations until they stretched to encompass the story I wanted to tell. I fear that will be the case with every book. Q: Both books are set in Germany at around the same time. What is it that drew you to this period and country? A: I lived in Berlin for three and a half years. Before long I found myself responding to the way Berliners deal with their 20th century past – it was intoxicating to me. There’s a real honesty there. A willingness to confront the past. Most countries don’t do that – they lie to themselves about their past instead. For instance, even though the Berlin wall is almost all gone, they decided to mark where it used to be using bricks in the ground. They didn’t just leave a scar there; they built one as a reminder. The Weimar Republic appealed because of its air of doomed glamour. It was an inspiring time of creativity and breaking social, sexual and artistic boundaries. But of course the Nazis’ rise to power put the kibosh on all of that. This gives a palpable sense of tension and suspense because readers know what’s to come – broadly speaking – whereas the characters have no idea. Actually that was one of the main appeals for me. Trying to depict a period that most see as a mere prelude to Nazism. It didn’t feel like that at the time to those who lived through it, and if nothing else I really wanted to get that across – that historical events don’t always feel so significant while they’re happening. We certainly have no idea what’s going to happen next. Much less how to avoid it. You could also argue that the period appeals because of its relevance to today. But that wasn’t a conscious choice. After all, you can overdo the whole “Look how similar things were then” bit. For example, if I describe a charismatic politician who shook up the status quo, developed a manifesto that combined nationalism and socialism, blamed the ills of his country on an outsider race that had exploited his people for centuries… well, that could be Hitler or it could be Alex Salmond. I trust you can see right away that this analogy isn’t close enough for most people to accept as equivalent. So I would downplay any attempt to see today’s world as similar to that of the 1930s. Any such similarities are purely at surface level. My main motivation has been to write a sort of love letter to the republic which intrigued me, and to the Germans who lived through it. Q: The Killing Of Emma Gross focuses upon the drive of one detective, Thomas Klein, whereas Berlin Burning features two police protagonists. Did you shift to the two because of limitations in the novel or was it simply a case of the characters appearing to you as a pair? A: The real question here is: what does it say about our culture that police novels are so popular in the crime genre? There’s something vaguely depressing about that, in my view. Is there anything so questionable as being unequivocally on the side of the law when the law is so open to corruption? So dedicated to the preservation of property rights or the rights of the rich and powerful? Where’s the respect for the individual? The dissident? The downtrodden? I think this is why the best police novels take one of three routes. They either emphasise the ridiculousness of the job using humour and camaraderie, as Ed McBain’s novels do. Or they delve wholeheartedly into the corruption, a la James Ellroy. Or they show the individual kicking against social and institutional prejudices, as in the work of Philip Kerr – or even Simenon to some extent. Actually, there are novels that cross these boundaries – these categories aren’t mutually exclusive. But generally an author tends to emphasise one of the three; for ease of reference let’s dub them Humorous, Corrupt, and Existential. Emma Gross is an Existential police novel. For that, a lone hero is necessary. Berlin Burning is a Humorous novel. For that, you really need the banter. Hence the two detectives. With each book I was trying to make a different point, I think. 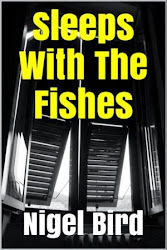 Emma Gross is about a man so disconnected from society that he sometimes feels he has more in common with the serial killer he’s captured than with his colleagues, who he despises as venal idiots. He feels trapped and can’t see how to break out of his malaise. He’s probably a metaphor for how I felt at that point in life. Berlin Burning is about two decent men trying to get on with their job while the world slowly turns upside down around them. Both of them despise Nazism for different reasons, but neither appreciate that they’ll soon be forced to work under that regime or resign. Despite that, they manage to rise above it all so that justice – of a sort – is done. Of course, this is all justification after the fact. At the gut level, the implication in your question is spot on. These stories just appeared to me that way. Not fully-formed, I might add. They evolved through the writing. Q: It’s clear that your work has been extremely well-received – you’ve had plaudits from the likes of Stuart MacBride, James Oswald, Helen Fitzgerald, Tony Black and William Ryan. Are such comments and reviews in general things that give you a lift or do you shy away from them? A: Praise makes anyone feel warm and fuzzy inside, doesn’t it? I did ask people for their opinions, certainly. Firstly because it’s a boost when people you respect like what you do. Secondly because some of their readers might also end up liking what I do and becoming my readers too. And, lastly, when you publish what other authors think –for example on Amazon – this helps casual readers make up their minds whether they might like what I’ve written even if they don’t know me or the folks giving the plaudits. Q: You clearly love to travel and have lived in some amazing places. Is there anywhere else that you are keen to write about? A: Yep, I’ve been lucky to have been able to travel so much. I do have plans to write about Sudan, Cairo, London, South Africa, Crete and New York in the next year or so. But I’ve only been to half of those places. And these stories will be set in the past anyway, which – as we all know – is another country again, and not one that issues visas. So I don’t base my ideas on where I’ve been, per se. Though I may do some travelling to help the research for some of them. It’s probably worth mentioning there are plenty of places I’ve been that haven’t inspired any story ideas – Russia, for example. Don’t know why. Perhaps it’s because I find the Russian mind utterly impenetrable. Perhaps there’s no real reason. I suspect there isn’t a direct cause and effect relationship with this stuff – not for me, anyway. Q: Does your taste in fiction reflect your love of history? Do you prefer modern interpretations of the past or novels that were written during a time you’re curious about? A: Great question. I tend to prefer things written at the time I’m writing about – not just novels, but diaries, biographies, autobiographies, letters, magazine articles, films, plays…. I certainly haven’t read that many historical novels recently. In fact, a couple of years ago I tried to put together a top ten list of my favourite historical novels and I struggled to fill it. If historical novels have a failing, it’s that they tend to strive for “relevance” by shoe-horning in some sort of modern comparison to the people or events depicted. Or, even worse, they try to offer some sort of lessons for readers to learn. God forbid. Humans are incapable of learning from history, and nothing proves that more than history itself. After all, the Holocaust didn’t stop ethnic cleansing in Bosnia or Rwanda. Or even anti-Semitism in developed countries, if recent studies are to be believed. Also, too many historical novels take sides. There’s nothing more ridiculous than passing judgements on those who can’t answer back. If history has a point, it’s to understand, not to condemn. If you’re in any doubt, just consider that we’ll one day be judged according to some unguessable future standards that we might find horrifying. I propose that we treat our ancestors with the same respect we might hope to receive ourselves. Right now I’m reading a lot of non-fiction – the books of Nassim Taleb about probability and randomness. Daniel Kahneman’s book about how we think. Essays by Christopher Hitchens. Stuff that challenges my preconceptions and makes me think a bit. If you enjoyed that, then make sure you come back for more in the next posts from Damien where we'll find out about James Ellroy and get to explore the concept of free speech in a hugely thought-provoking piece. You really don't want to miss either of those. 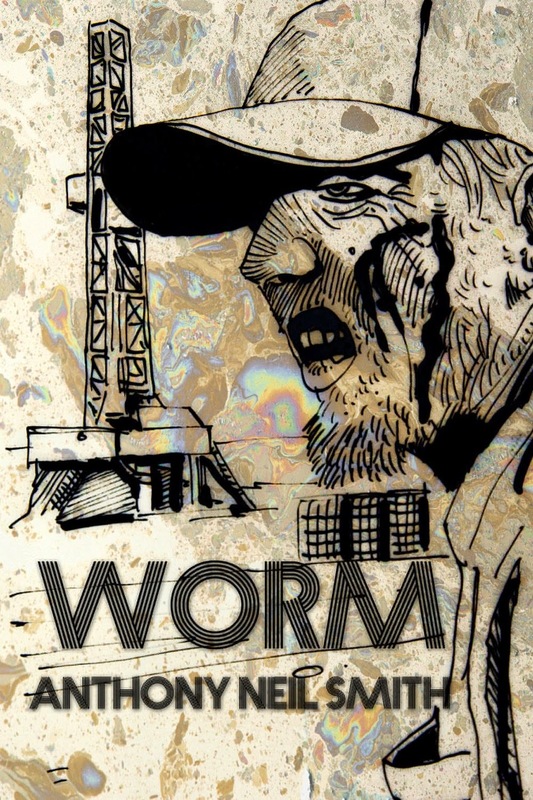 Worm (US) opens with an intriguing, rather cinematic set-piece where a number of the main characters are introduced. Three men drive up to an oil-drilling station and the boss, Pancrazio, steps out to meet them. The bikers, members of the Sons Of Silence MC ask for a word with one of the workers, Gene Handy. Handy goes out to straighten things out while his friend Ferret watches from a safe distance. Pancrazio and Handy are very tough people and a visit from a biker gang isn’t going to phase them. Ferret, on the other hand, is a family man who is working for the benefit of his wife and child. Without revealing the outcome of the meeting, I can say that it provides a powerful opening that sets the tone extremely well and which made me want to press on quickly with the rest of the book. As opening chapters go, this is a great example to aspiring writers on how to go about things. Neither Handy nor Pancrazio are exactly who they seem. Before long, it becomes clear that they have bigger intentions and plan to supply the oil field workers with the drugs they want to help them unwind after a hard day’s toil. As soon as Ferret gets a sniff of this, he wants in. It’s not that he’s an experienced criminal. He just wants to earn as much cash as he can for that wife and daughter of his. Unfortunately, his naivety means he has no real concept of what’s involved in joining such an operation and getting out isn’t ever going to be as simple as handing in notice to quit. 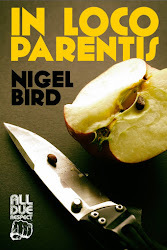 There are twists aplenty as the trio reveal their true colours and the plot is thickened by the crooked police chief Slow Bear and Pancrazio’s wing men, Good Russell and Bad Russell. All of this takes place in a Wild West setting. The town is out of control. The workers are after booze and women and there’s a sense of anarchy about the whole thing. The law is weak and corrupt, the oilmen are stir-crazy and powerful and the women here are out to take advantage of their situation in any way they can. This isn’t a novel that shines a torch on the wonders of humanity. Rather it looks down into the chaos of life and the extremities of existence and refuses to shirk away from the darker crevices. 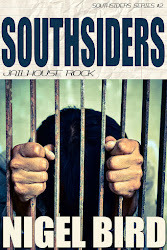 Smith pushes the characters hard and their flaws are ruthlessly exposed. What the depths of this world also does it to bring forward unlikely heroes who emerge from the mire when it becomes deep enough. 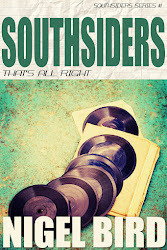 I thoroughly enjoyed this read and also admired the quality of the writing. Smith does a number of things extremely well. His work on setting is superb and there are at least four dimensions to this world. He deals with a huge scope and a complex plot and yet always keeps control. The dialogue is well delivered and the book is densely populated by brilliant phrases that speak volumes in few words. Add to that the constant surge of the characters and the story-line (even the back story moves forwards) and there’s one page-turning novel that will satisfy the appetite of many a crime reader. This book grabbed my attention immediately. The cover’s fantastic. The title is superb. The publisher is All Due Respect. What more could I ask for? I guess the answer to that is a story to match. To my delight, the book did more than live up to my expectation. I loved Uncle Dust. It’s a noir story of real depth. Uncle Dustin tells the tale himself. He’s a small-time bank robber, a debt collector, an ex-con and a drinker. 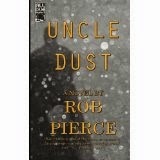 He’s the kind of character that you might find in a lot of novels, but author Rob Pierce does a wonderful job of exploring the whole of him rather than making his work the central line of the plot. Sure, there are some great and very engaging set-pieces as Dust shakes down a bank or deals with a failed gambler who can’t pay the bills. There are even some of the wonderful side-shows, like the doctor who’ll patch up a wounded criminal on the sly. I’d have been happy enough with all of that. What really shines out for me is the way Dust’s relationships are explored. He’s a fabulous creation, brought up in tough times that have moulded the way he sees the world and caused him damage that puts him beyond repair. most of his buttons in the way he’d like and her son Jeremy is in need of some direction. The father-son relationship is particularly well explored. Jeremy is a victim. The only things he seems to be interested in are fantasy card games. Dust is happy to guide him in the direction of becoming tougher, but Dust is unable to keep to any boundaries. When he finds that Jeremy is still in contact with one of Theresa’s ex-partners, Davis, the emotions smoulder and burn. Things become much more complicated when Dust finds out that Davis controls some of the more sinister fantasy games in town and that his intentions for Jeremy may not be entirely pure. The world is always going to go wrong for Dust. His life is always going to create wrecks along the way. As Pierce drives us forward, what isn’t clear is who is going to get hurt when the next smash happens or just how bad their injuries will be. What makes the book so engaging for me is that it’s impossible not to root for him, which makes his erring judgement really hard to handle. Uncle Dust is told with a really strong voice. The dialogue is about perfect. The snappy lines and images are a real treat. Dust’s capacity to intimidate is alarming. The story has a number of facets that work really well together. All in all, it’s a really great book. You should try it. Berlin Burning takes place in the summer of 1932, a time when upheaval and economic depression were the order of the day and the nascent Nazi party are becoming increasingly powerful. 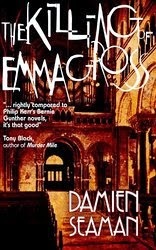 It’s hard to imagine a more complex or engaging setting for a European crime novel. The story begins with the central character, police detective Trautmann, trying to persuade an ex-girlfriend of his partner (Roth) to visit the man in hospital. Though not much is gleaned much of the story here, the fact that Trautmann has a burned face and Roth has previously lost an arm in the line of duty make the story that is about to unfold in flashback hugely tantalising. The flashback begins with the reporting of a murder in an unsavoury district of the city. When Trautmann and Roth arrive, the place is swarming with Schupo under the lead of a hard-nosed man called Kessler. Though Trautmann is going to take control of the case, it’s clear that Kessler isn’t going to let it go completely. A young man has been murdered. His position in life helps to explain why there are so many at the scene. He’s a brownshirt and the case is therefore politically sensitive. It also happens that his girlfriend and lead suspect is Maria Fliescher, the niece of a local gangster. There’s not a lot of evidence to go by, but Trautmann and Roth are determined to collect every scrap. In the end, their protection of the scene from the clumsy Schupo will prove crucial to their investigations. What follows on from the murder scene is a journey of danger and adventure. As this is only a novella, it’s surprising just how much action takes place. The plot thickens and little is quite as it initially seems. The characters are multi-faceted and are open to manipulation and misunderstanding. When the adventure slows and the plots thicken, the quick-thinking and articulate Trautmann keeps things straight - when the penny drops for him, the prospect of his reveals creates strong hooks.. The atmosphere throughout is oppressive and the tensions of the period are used well to maintain the mood. The ending brings the complexities of the plot to a satisfying and rather surprising conclusion and the door is left open for future investigations from this intrepid pair. I’d be happy to find out more about this police duo and to watch history unfold when they go about their business. Bring it on.